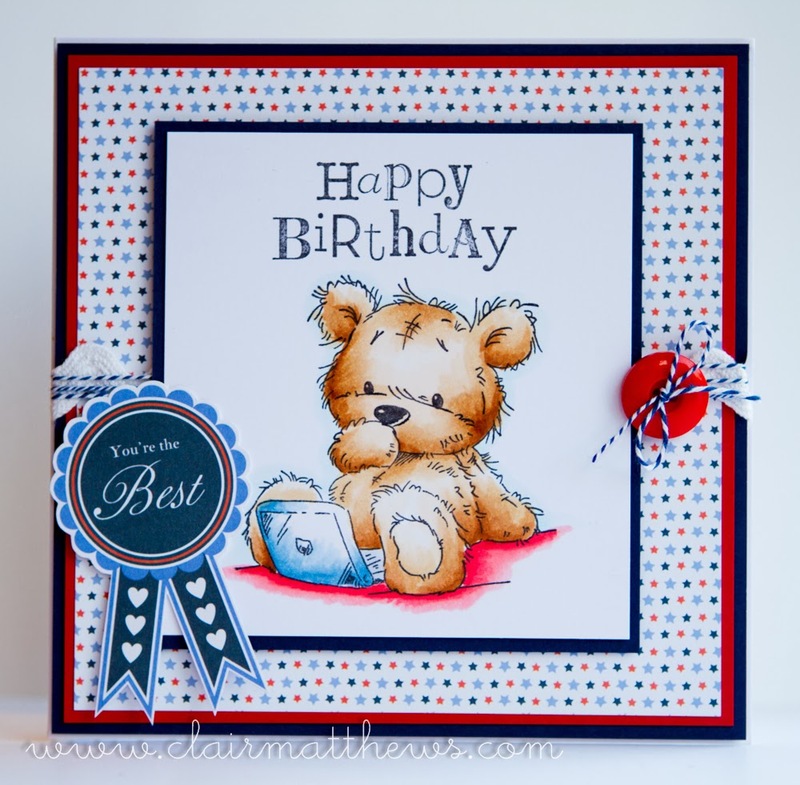 Clair Matthews: LOTV March challenge card.. I used another of my new LOTV stamps to make a card for this months challenge which is CRAFTY BINGO.. I went straight across the middle & opted for twine, lace & buttons. Talking of bingo, don't forget its our 'craft club' bingo night tomorrow - I'll be at the gala around 6pm - Hopefully see you there - the more the merrier!!! Love the card Clair, lovely Teddy, ideal for boys card!! Gorgeous card Clair, love that James is the focal point and not hidden by embellishments! Thanks for joining this month's 'crafty bingo' challenge.